If you’re planning a home remodeling project, you will need to know and hire some quality remodeling contractors. These professional remodeling contractors will save a lot of time and money but most of all they will assure you of a quality job well done. 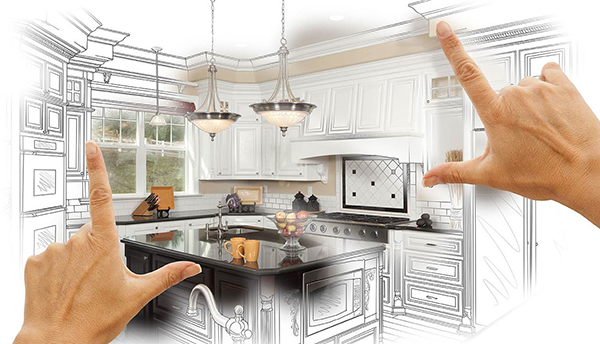 CAD Pro has helped thousands of homeowners, remodeling professionals, builders and contractors plan and design all types of home remodeling projects. CAD Pro is used by NHBA builders and contractors. CAD Pro helps you plan and complete any type of remodeling plans with intuitive smart floor plan tools and home remodeling design symbols. Share your home remodeling plans with clients or professional remodeling contractors using Dropbox®, Google Drive™, OneDrive®, and SharePoint®. Export files to Microsoft Word®, Excel®, and PowerPoint® with a single click. Below we’ve compiled a list of seven professional remodeling contractors that will provide valuable services and insight for any type of home renovation project. Some homeowners look to save money on remodels by acting as their own general contractor. This requires them to plan the work and hire separate contractors themselves. You can do this yourself if you have the ambition. But you’re passing up valuable knowledge and money saving tips. For instance, quality remodeling contractors possess a knowledge of when they need subcontractors and when they don’t. In many cases, changing a light fixture doesn’t require an electrician. But, running a new electrical line does. This expertise will serve you well. Talented general contractors also have experience with the proper materials necessary for a quality job. You don’t want to make alterations to a load-bearing wall that could weaken your home’s structure. When you make changes to walls, consult with professional remodeling contractors for help. Different areas and building codes enforce their own rules as to whether you need an architect or structural engineer for this task. Even an experienced general contractor may lack the know-how to tell if work will affect your home’s ability to bear stress. But an architect or engineer can examine your plans and will give you important advice about your home’s needs for a sound structure. Talk to both of these professional remodeling contractors when doing a big job. This applies even if your remodel doesn’t include specific plumbing or electrical work. They can steer you through trouble spots you don’t even know about. Plumbing and electrical lines provide the heartbeat of your home and you don’t want to mess them up. Making mistakes in these areas of your home remodeling project can be costly and dangerous. Professional home designers do more than work on the look of a space. Many designers hold expertise in ergonomics, acoustics, and how people interact with spaces. A designer’s eye can help you make the best use of your new space. These quality remodeling contractors and their knowledge of building codes and safety will also serve your project well. Even interior walls can benefit from adding insulation. When you do extensive work, you may lose insulation in some walls. So, if you change, tear out or add walls during your project, you’ll want an insulator to look at what you’ve done. This is important for many reasons but mainly to lower your utility bills. Inadequate insulation contributes to energy loss. An insulation pro makes sure your remodel gets off to an energy efficient start. You might associate this kind of work with selling your home. But a home inspector gives valuable insight into your project before it wraps up. They offer outside verification that work was done correctly. An inspector ca be one of the most important professional remodeling contractors. Inspectors can identify problems contractors didn’t notice. This includes fire separation and safety issues. They also make sure permits were pulled correctly. You’d rather hear this from your own inspector than from the building department later. Most people don’t even think of this one. But your insurance policy is based on the condition of your home at the time your policy was originally enacted. Any changes or upgrades could trigger a change in coverage and leave you under insured. Furthermore, your policy might impose requirements when remodeling. These can include hiring licensed professional remodeling contractorsor having an agent inspect the home. Consult your agent before and after work is complete. This ensures you’ll keep your coverage in shape. This entry was posted on January 29, 2019 by Home Pro News.